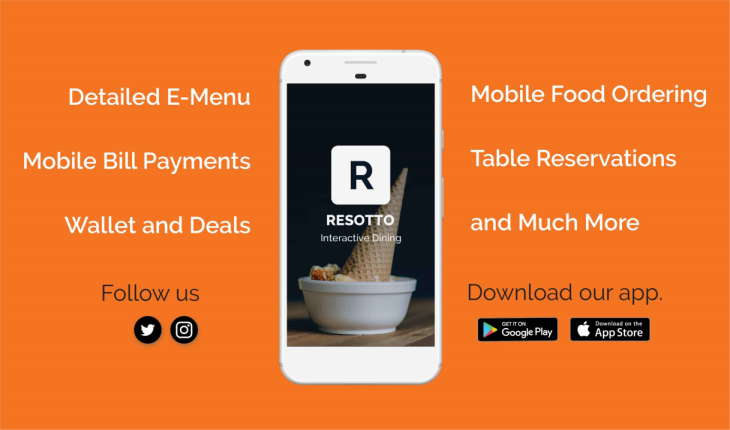 Resotto is a unique mobile platform that focuses on a delightful diner experience through restaurant automation. This venture was started by Neeraj Jain in 2015. Being a foodie, he never felt satisfied with the restaurant service, especially waiting involved in getting a table or placing an order. Hence, he decided to automate the process. To validate the idea, Resotto conducted an online user survey across major metropolitan cities in India and the results were promising. 65.6% respondents would prefer to use a mobile application to place an order instead of waiting for a steward. 69.6% respondents would love to pay their bills directly from their phone. Diners face inconvenience in the restaurants due to staff shortage, un-skilled staff, inability of the restaurant to handle rush hours, haphazardly managed waiting queues, filthy and outdated menus to name a few. Restaurants do not have sufficient flexibility to introduce new dishes at will, or change prices as per market conditions. They have no concrete data to act upon. All this affects guest experience too. By using Resotto, restaurants can improve their top line and bottom line, while their guests will enjoy a better dining experience and earn benefits through Resotto Points when they dine.  Digital menu and table ordering will increase bill value with impulse buying, upsell and cross sell.  Sell not just food & drinks, but secondary products like bakery or merchandise which can be browsed and ordered directly from the app.  Real time promotions of offers & events on the B2C app.  Digital menu is flexible, which means introduce new dishes and change prices at any time.  Leverage to negotiate with supplier since menu prices can be changed.  Less dependency on staff. No need for buffer staff. Manageable with low skilled staff too.  Better monitoring over the operations due to cloud access. Order & payment management – helps restaurant to manage orders placed by guests from their phones directly. Not just that, Restaurant can modify, cancel, add new order and can also send bills directly to guests mobile phone. Guests can make payments directly using our B2C app “Resotto”. reservation. Guests can see and manage all updates on their device using our B2C app. See how Guest Management works. Active Feedback – restaurateur will get notified via SMS when a guest gives poor feedback. Guests can like or dislike the items using B2C app. Bill and tax management – restaurant can modify, delete, split, merge bills, manage bills and taxes. Resotto B2C app makes it a 3 step process to place orders and make payment through the app. Users can see currently checked-in guests and make reservations. They earn Resotto points which can be used to unlock various deals. Watch Resotto in action. Resotto has also developed a true Mobile POS which can be used easily on a small mobile phone screen. Resotto was reviewed by FinancesOnline and awarded with the ‘Rising Star Award for 2017’ and also the ‘Great User Experience Award for 2017’. Resotto also got selected in Nasscom10k start-ups program. Resotto was envisioned by Neeraj Jain, a business graduate from Cardiff Business School and an entrepreneur with an experience of over 9 years in the fields of high end retail, distribution, warehousing and 2 other start-ups. 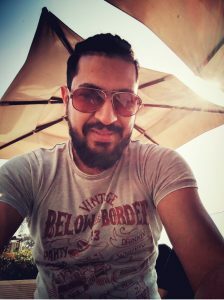 He is a tech enthusiast who likes to automate things around him and reduce all clerical work, as already implemented by him in his other businesses. “My vision is to create a win-win situation for restaurateurs and their guests by optimising restaurant operations in a manner that delivers a seamless dining experience to the foodies while helping restaurateurs to sustain and grow in this competitive market.”, Neeraj Jain, Founder & CEO, RESOTTO.